Throughout my time working at the Odeon, I had at best a love-hate relationship with it. It wasn’t always that way. When I was younger, I stayed at home whilst all my older brothers and sisters were out all day and night working. I wanted to join them, but thanks to my position in the family – 8th in a family of 9 kids – they didn’t really need me to work at that stage. Before the Odeon, my dad used to be a street vendor – I’ve heard the story about my eldest sister working as a young kid, squatting over a tub of dirty dishes and accidentally dipping her hair into the dishwater as she kept nodding off whilst washing them. My older siblings had it much tougher back in those days. Every once in a blue moon at the Odeon, they would play a movie with an extended running time – eg. blockbusters like Ben Hur, Oliver! and The Longest Day. This was especially exciting because they would have an intermission during which time the audience would come out to stretch their legs in the lobby. And my dad would put out some trestle tables and arrange to have hot coffee and tea as well as yummy curry puffs to sell. At one of those screenings, my dad finally decided he could use my help, so I was allowed to come along. My parents asked if I had any homework to complete for school the following day – I was in Std 2 (ie. second grade) – ‘Nope’ – I replied truthfully. I didn’t tell them that I did, however, have exams starting the next day in case they changed their mind. There was a ton of coffee cups and saucers to wash up afterwards, but it was fun. After that, I started working there every day, and was put in charge of the ice cream stand. My younger sister decided, at 5, that she’d rather tag along than stay at home, so that’s how the two of us got started with full-time employment. We learned to scoop ice cream into wafer cones, and to order stock etc. It didn’t take me long to encounter rude customers. I learned to shortchange them with scoops of ice cream that looked round and full but actually consisted of a great big air pocket in the middle. Then I discovered my dad was a tyrant to work for. Nothing was ever good enough for him – because of his various other business ventures, he wasn’t around fulltime, but he would drop in every day. We were always tense when he arrived – there was always some stock we forgot to refill, a soft drink bottle on display that didn’t have the label facing squarely to the front, or a spot we missed in our cleaning efforts. And he was brutal in his admonitions. As my older brothers and sisters left to continue their studies overseas, the ones left running the canteen were my stepmom, my older sister, my younger sister and myself. Jessica was always his favourite – she was a natural sweet-talker; my younger sister was the baby of the family and super-cute, and caught some breaks on that basis. I, on the other hand, felt that I bore the brunt of the verbal abuse meted out by my dad. One time, as a young teenager, I showed up for work in a pair of shorts, which he thought was inappropriate. He told me if he caught me in them again, he would break my legs, and happily spend a few years in jail in the knowledge that I would spend the rest of my life a cripple – that’s how dysfunctional we were. There was a lot of pent-up hatred in me. One of the things we had to do before they banned glass bottles inside the movie theatre, was to go around collecting empty soft drink bottles in-between sessions, and carry them out in wooden crates. One time, I grabbed a bottle in the dark without realising it was broken, and managed to gash my hand pretty badly. As I walked out to get my hand fixed up, a cinema patron said to his companion disapprovingly – ‘Kids these days will do anything for money!’ I wanted to yell at him that I wasn’t in fact getting paid – we never even officially got pocket money. I noticed early on that instead, my older siblings would help themselves to the money at the canteen for their spending needs. I started doing the same, and took it to a whole new level, to, as I saw it, make up for the treatment I was getting from my dad. I finally got caught out by my stepmom, who took all the money away, but banked it all in an account in my name even though I didn’t deserve to keep it. As I got further along at school, I realised most of my circle of friends were from better backgrounds economically, and I became ashamed about having to work. When I spotted someone from school catching a movie at the Odeon, I would crouch down underneath the candy counter until they were out of sight. Then, as I grew older, I began to appreciate some of the benefits of working there. First off, we got to see all the movies we wanted, for free. Back in those days, The Odeon was the most popular cinema in town, and all the best movies were screened there. The cinema across the road primarily showed Chinese movies; I was grateful that wasn’t the case with The Odeon. When big movies like Alien and Star Wars premiered in Seremban, people would wait outside the cinema before it opened so they could get in line before the sessions sold out – the fact that I could procure hard-to-get tickets enhanced my standing among my friends. Also, I guess in hindsight, in an era before mass TV channels and the internet, the opportunity to view English-language movies over and over again probably helped prepare me for aural comprehension of the language in a variety of accents when I was to relocate overseas years later. This story brought me back to my childhood in KL. I remember those wooden crates that hold glass bottles used to weigh a ton! Also, drinks were 25 cents in my school and if we brought back the bottle, they will refund 5 cents. I used to go around collecting empty bottles only to be told by the vendor the were sold for 20 cents hence I didn’t get any money for the work. Odeon gave me nightmares because my grandmother took me to watch “The Omen” when I was only eleven or thereabouts and it puzzled me why she did such a thing. Oh I loved the Omen! Yup, we used to have stacks of wooden crates containing soft drinks on the balcony of our tiny 11th floor apartment and later in the house we moved into. We were surrounded by stock for the cinema canteen everywhere we turned at home. It has been 25 years since I left seremban to australia. Going back next month to rekindle my childhood. We soend a lot of time watching movie at odean since my aunt house is a few minutes walk.(temiang). 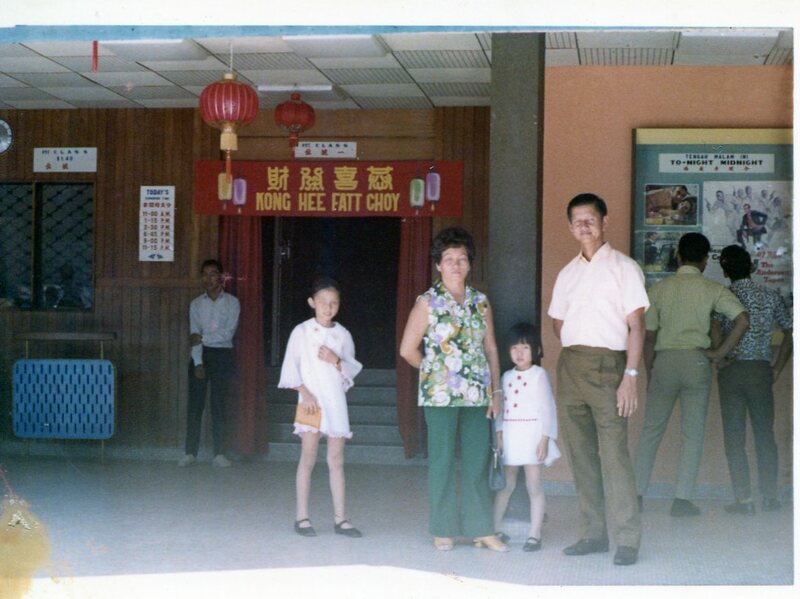 HI, Jackie, I am Brigitte from Seremban, I am actually collecting info of my family. 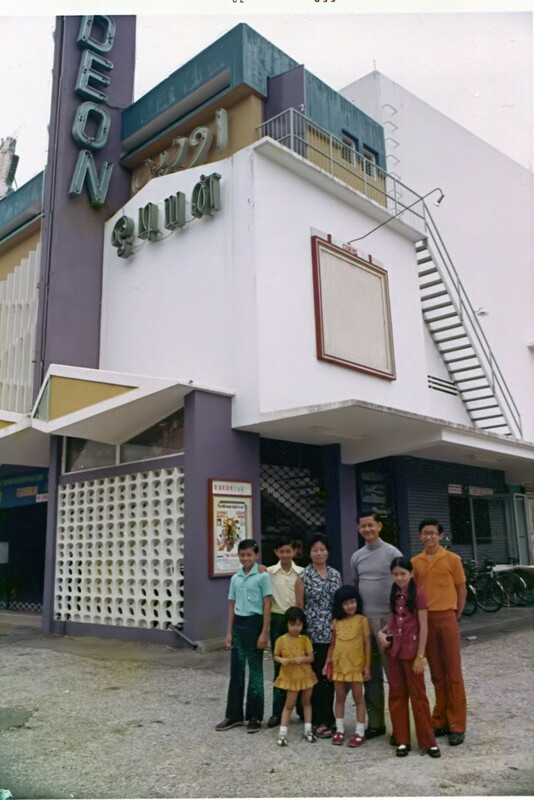 My grand uncle Goh Ah Kow is the owner of Odeon, and I am searching for the photos and found the photos in your blog. May I share the photos of yours? I will mention you as well. My articles will be written in Chinese. Thanks a lot and thanks for the sharing. Now only I remember that was a canteen in the cinema where I always buy mentos from you all. Hope to hear from you soon! Thanks for the article. Looking at the picture of the building, it really triggered my memory of this cinema. I didn’t get to experience the cinema during its heydays (being born in 1981) but growing up, this is one of the main cinema in town. Ha very cool; in fact before The Odeon, my dad used to sell street food from a cart outside Cathay Cinema, which was on the plot of land next to where The Odeon would eventually be located. When The Odeon was being built next door, the management noticed my dad’s stall and was impressed with his work ethic so they offered him the lease to the canteen when the cinema was completed. Oh, I am not aware that there is a Cathay (the location at present is a row of shops, I guess?). In Temiang, there is only Odeon to me (and Metropole opposite it, which got revived in 1994 i think but closed again after that). During my time, I only know 3 cinemas in existence: Ruby, Capitol and Odeon (the cinema opposite Ruby doesn’t count to me), and years later i discovered many more that was closed years earlier, which brings the total number to 10 or more. I always wonder what’s life like in the 60s and 70s having that many cinemas (both my parents are not from Seremban), so from time to time i browse through any sites for old Seremban pictures and articles. (I was searching for Odeon Seremban and found ur blog). Embarrassingly, I didn’t notice any canteen in Odeon before. Facing the ticket counter on the left is the picture trailer wall, on the right is the ground entrance and further right is the stairs to upstairs seats. My guess is the canteen (or food stall?) is located next to the stairs.